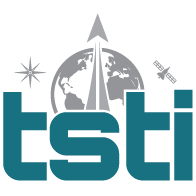 Model-Based Systems Engineering | TSTI | Teaching Science and Technology, Inc.
We offer one, two and three day courses in Model-Based Systems Engineering. Each day builds upon the previous one. For example, MBSE-01 is day one of MBSE-02 and MBSE-03. The course is aimed at those totally new to MBSE who want a broad overview of the topic without having to learn the grammar and syntax of any specific modeling language. See individual course descriptions for details.